When Charles Bradley answers his phone on his tour bus to speak with a Seven Days reporter, his voice, that glorious geyser of a voice, is a barely audible croak. The Screaming Eagle of Soul’s tired rasp on this day can most likely be attributed to his recent run of West Coast shows, performances that surely tax his 65-year-old pipes. But the weariness in his tone runs deeper than mere physical exhaustion. Bradley was a runaway at age 14 and lived on the streets of New York City for two years. He then bounced around from Maine to California — including stints in Alaska and Canada — working as a line cook, before eventually returning home to care for his previously estranged mother. Bradley says he always had dreams of becoming a famous soul singer. But he first had to live through personal nightmares that ranged from sleeping in subway cars as a teenager to his brother’s murder to nearly dying from an allergic reaction to penicillin. Bradley moved home in the late 1990s. He was discovered while moonlighting at shabby NYC nightclubs as a fiftysomething James Brown impersonator — he called himself “Black Velvet.” Beginning in 2002, he released a few largely ignored singles on the soul-revivalist label Daptone Records. It wasn’t until 2011, when Daptone compiled those songs for Bradley’s soul-baring full-length debut, No Time for Dreaming, that the world began to take notice. “That’s when I stepped out of the darkness and into the light,” he says. Since then Bradley’s story has become legend. In 2012 he was the subject of a critically acclaimed documentary, Soul of America, a film he says he still hasn’t seen because it’s too painful and personal. Earlier this year he released a second record, Victim of Love, that, much like his debut, is rooted in the pain of his personal hardship — though this time of the romantic variety. But it also suggests a humble sort of redemption blooming amid its late-1960s-inspired psychedelic soul grooves. This Saturday, September 14, Bradley is a headliner at the Grand Point North music festival at Burlington’s Waterfront Park. Seven Days spoke with the singer about his tumultuous early life, his newfound career and what he hopes to do next. SEVEN DAYS: Some people probably don’t know that your main musical outlet used to be as a James Brown impersonator. Was it a challenge for you to go from essentially pretending to be someone else to performing as yourself and putting so much of yourself out into the world? 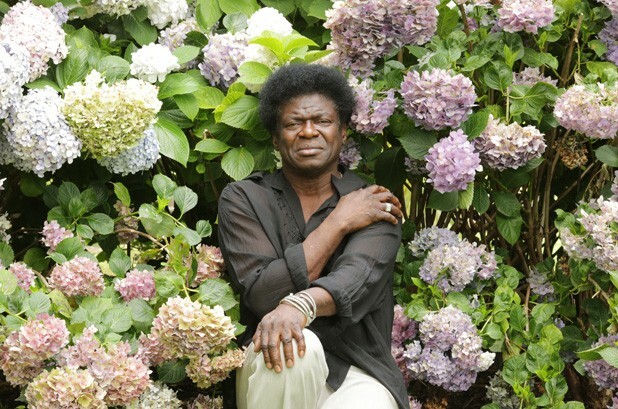 CHARLES BRADLEY: Doing James Brown was something I loved to do. I love the funkiness, the soulfulness. But doing Charles Bradley is about going into my soul, bringing my truth in the lyrics. And that’s the hardest part, because I’m bringing a lot of my past experiences. SD: Do you feel vulnerable sharing that part of yourself? CB: Sometimes it’s very painful. I dig down deep and feel those moments. My grandmother used to say, “Behind every word there’s a picture.” Sometimes when I’m singing I see the picture of the things I’ve gone through. Even now, I still see the things I’ve been through. And I have to keep myself very humble, very straight, not to get corrupted, and to keep the love and compassion that’s inside me. SD: How do you do that? CB: I have spiritual things that keep me going. If I didn’t have God in my heart to keep me strong, I don’t know what I would have done in my life. I look at kids back in the projects, 14 years old. I was 14 years old when I left home. I look at the things they get into, the same things I got into, and I don’t know how I got through that. So I look at those things and think about them. And as hard and bad as they were, a lot of time there were good things that came from them. So I had to go through them to find that goodness. And I thank God for helping me through to see them. SD: How has your lifestyle changed since you started to become better known? CB: I’m still struggling. But I’m starting to feel that maybe there is hope that I can come through. I’m just grateful for the opportunity. I got a late start, so I have to use the rest of the energy that God gave me and hopefully I can do the right things. I need to keep myself energetic, so when I get onstage I can give the people what they want and a little more. SD: Do you feel pressure to do more because you were discovered later in life? CB: I feel a little of that. Honestly, it all feels a little bittersweet, because I’ve been hoping and praying for this opportunity for a long time. I know a lot of people that never got this opportunity, especially at this age. But I’m the type of person who doesn’t give in. I go into every record, every stage like it’s my last show. And when I go to glory, at least I showed the world that I did the best I could and gave you my love. SD: You’ve said that you don’t have complete creative control of your music. If you did, what would you do differently? CB: I would come completely out. I would start raw, from the bass line all the way up to my vocals. I respect and love the people who gave me this opportunity. But I hope that one day before I die I get a chance to bare my soul and let my true qualities, all of my qualities that God gave me, come out. SD: Given how much you bare of yourself in your music, it’s hard to fathom you could go much deeper. CB: We all have a gift. But it’s up to us to decide how to use it better and make it special. And I seek it deep within myself, hoping and praying that I can bring out those qualities of myself. Sometimes I get onstage and I get so deep into the spirit that I can’t tell which way I’m gonna go. And I like that. I want to go past that and hope that the guys in the band can go there and be with me and catch me when I go into my deepest emotions. That’s what I want to do. Charles Bradley and His Extraordinaires play the Grand Point North festival at Burlingtons Waterfront Park, Saturday, September 14, 7:10 p.m. $49/79. AA. The original print version of this article was headlined "Late Bloomer"